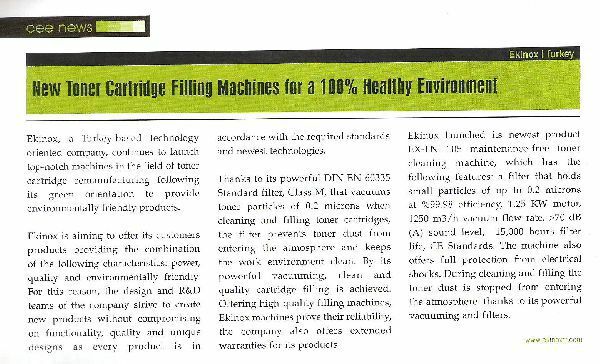 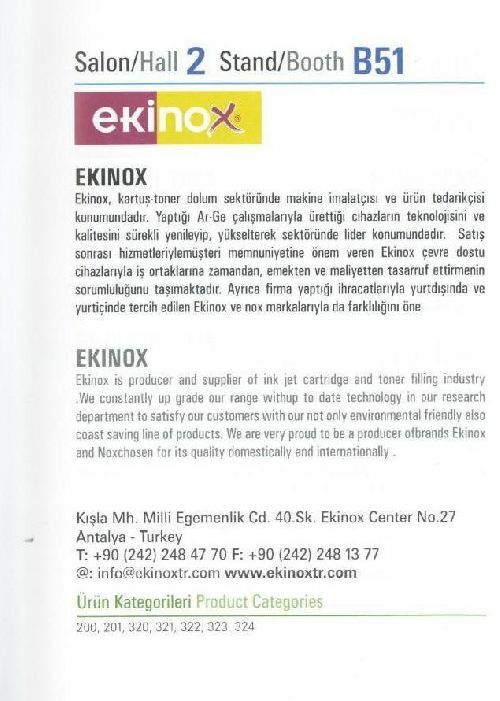 Ekinox is producer and supplier of ink jet cartridge and toner filling industry.We constantly up grade our range with up to date technology in our research department to satisfy our customers with our not only environmental friendly also coast saving line of products. 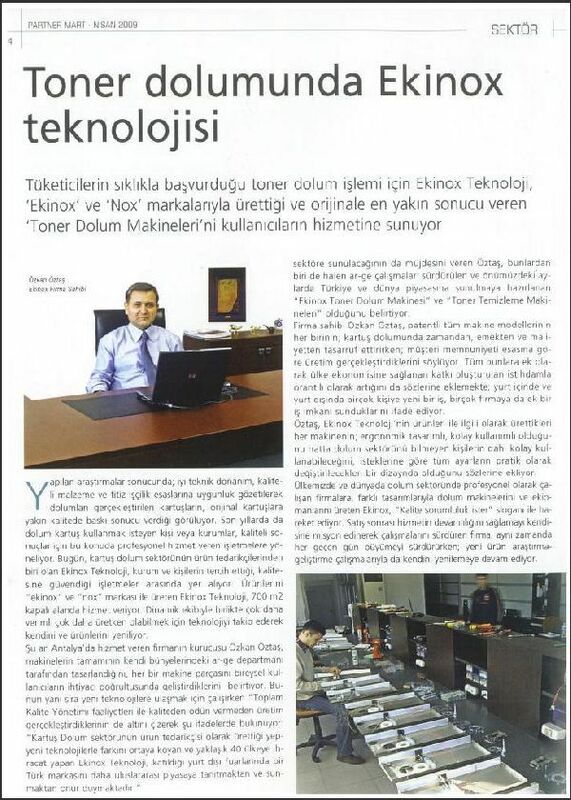 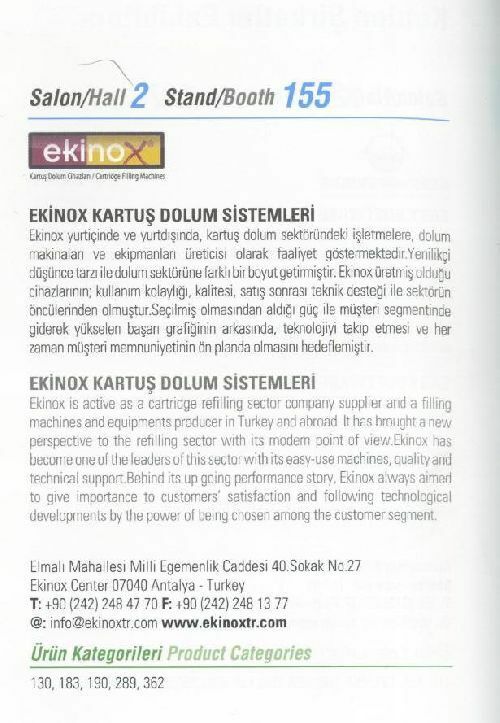 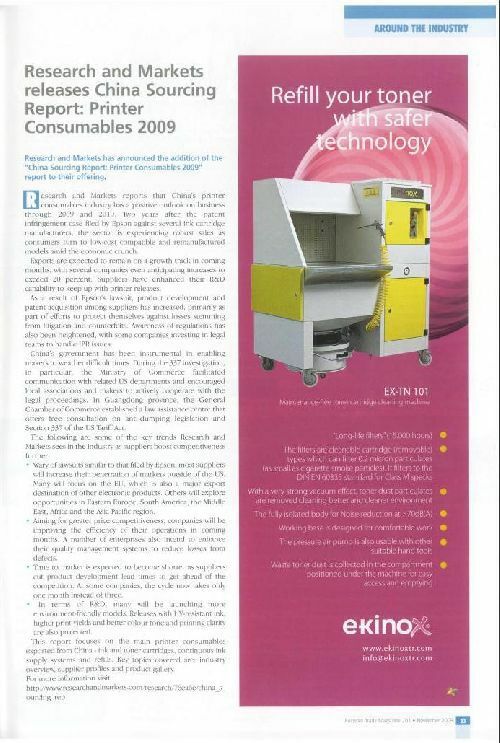 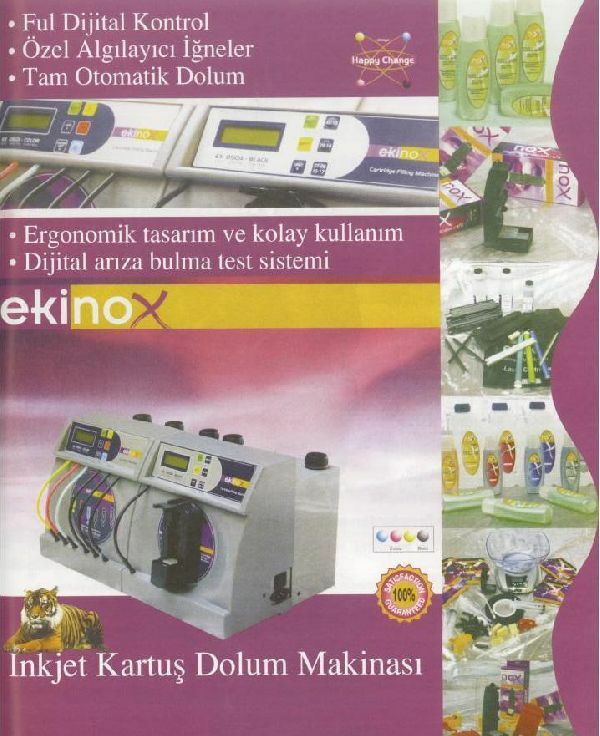 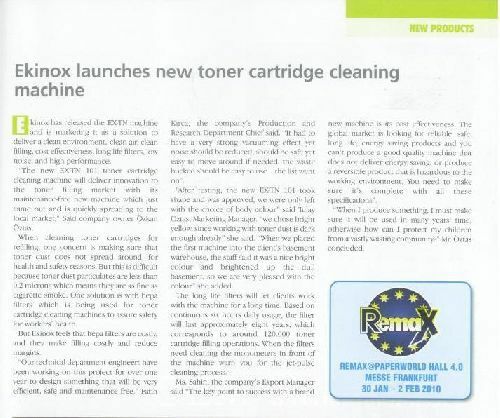 We are very proud to be a producer of brands Ekinox and Nox chosen for its quality domestically and internationally. 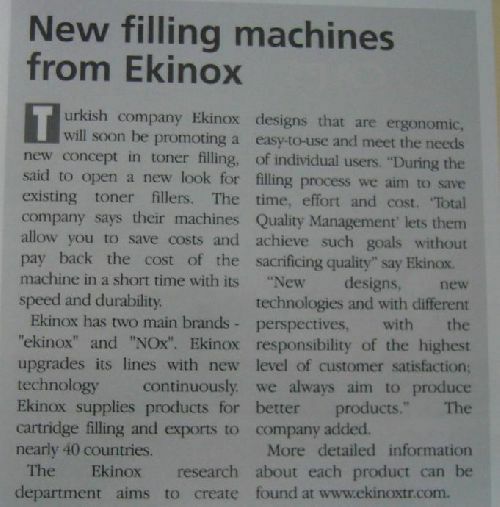 Ekinox yeni Toner kartuş temizleme makinesini piyasaya çıkardı. 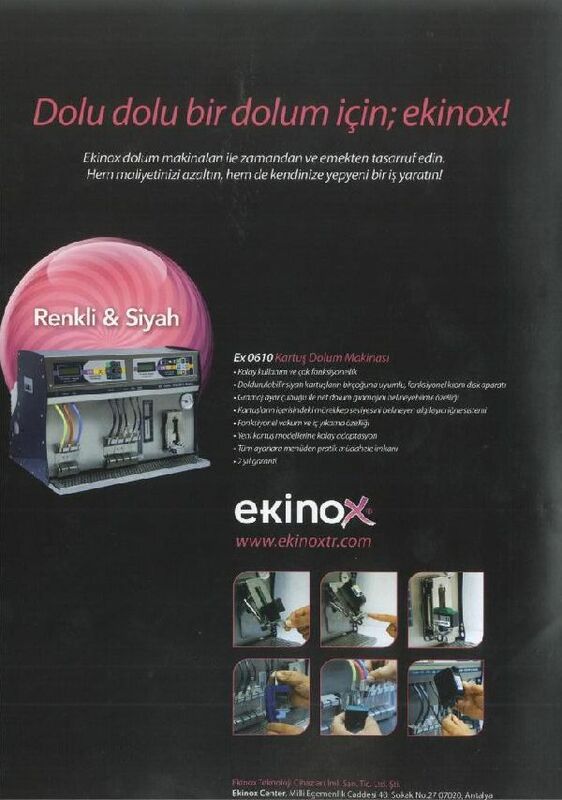 Ekinox yeni makinesini daha temiz çevre, temiz dolum, temiz hava çözüm olarak, hem de daha uygun maliyetli, ses seviyesi düşük ve yüksek performansı ile piyasaya sunuyor.